This visual came to me in a dream about a few months back. I think subconsciously, I was trying to create a guitar God in an image similar to the God-images that I had seen as a child in India. 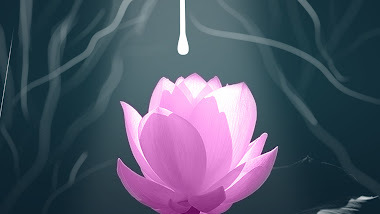 The image I saw was a fat man hovering over a pink lotus. His body was completely bleached white with out any hair. And he had a tube coming out of his head that suspended him from some extremely tall red colored tree behind him, like as if he was a fruit hanging on that tree. 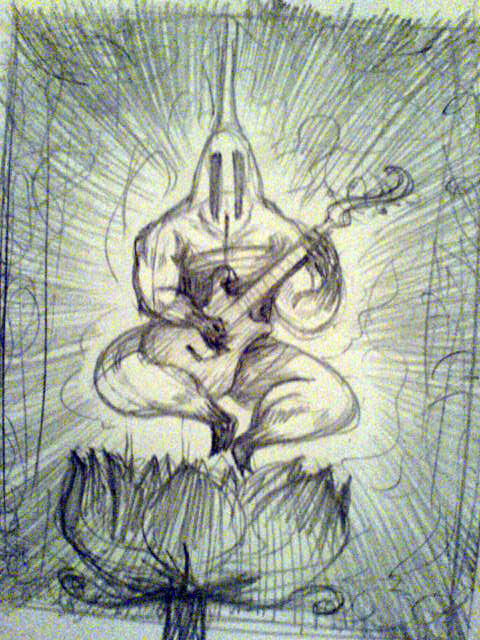 He had two long black lines on his face, and he played a red guitar, while seated in the yoga lotus pose. 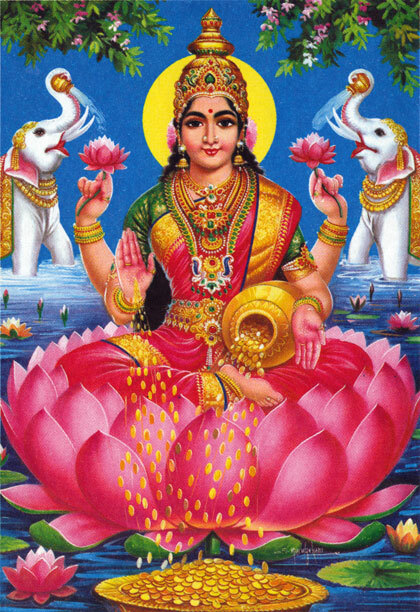 I believe this is very similar and drawn from the Hindu God Laxmi, who signifies wealth and success. 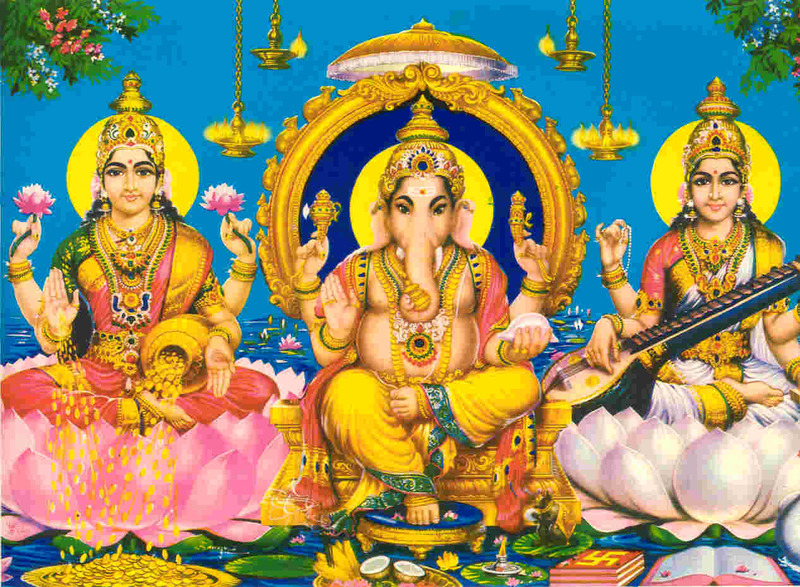 Her iconic image is her sitting on a lotus with a sitar and two elephants behind here forming a heraldic pose. I want to use this image to create a supreme character in the piece around whom part of the visuals revolve. In the background we'll have two more characters to create the complete composition, very similar to the one with two white elephants.